Just when I thought we were finally seeing the end of these news reading scams, here comes News-own.com. I was first asked about News-own.com from a visitor to this very site. Of course, the moment I saw the domain name I knew that this could be yet another news reading scam. So, the question remains, is news-own.com a scam or is actually legit? Let’s get right into my honest News-own.com review to find out. News-own.com is an online website which gives users the chance to “work from home.” With this website visitors are able to do just that by allowing visitors to earn between $5 to $9 just by reading the news. What is more this website also gives users the chance to earn $175 per person they refer to the program. Sounds too good to be true, right? That is because it is. How Do I Know This News-own.com Is A Scam? First and foremost, upon going through various pages on this site, I began to notice a few similarities between it and various other sites. These similarities are downright identical. Just take a look for yourself how identical News-own.com is to other known scam sites. If you take a look at the About Company section on news-own.com, you will notice that this website states that it has been around since 2010 and it was originally founded in Brooklyn, New York. However, taking a closer look at the domain info via ScamAdvisor.com, you can see that it is not even true in the slightest. You will also notice some questionable details about this particular domain such as the fact that it is currently using some type of software to hide its true location. If you are actually a legit company, why hide where you are currently located? If you are anything like me, then at some point or another, you have actually picked up a newspaper and taken a look at some of the news articles inside. If that is the case then you have noticed that the “news articles” shown on this website are not even that. They are only a sentence or two of random quotes from an actual news article. 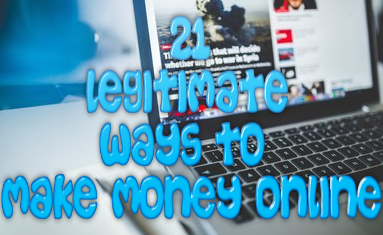 What is more these articles are littered with Google Adsense ads, meaning the owner of this site is hoping that you will click on these ads so they can earn money from it. I’m sorry, but it is not that easy to make money online. 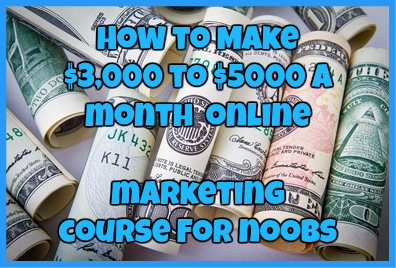 If it were that easy, nobody currently looking to make an income online would be struggling. It is way too easy and even reputable affiliate programs would not pay so much for doing so little. If so, they would lose money in the process. Unfortunately, this news website, along with all of the other identical looking sites are known phishing scams. Popular websites such as Scam Advisor and even Paypal have warned users numerous times about the legality of these sites and have thus classified them as phishing scams. What this means is that the whole point of this particular website is to collect Paypal email addresses (which you have to give if you want to get “paid) only to later access these accounts at a later date when they send the owners of these accounts authentic looking Paypal emails. These emails will contain links asking users to log into their account, which is then kept by these hackers so they can log into the said account whenever they wish. Even if you currently don’t have any money in your Paypal account you are still at risk. This is because most Paypal accounts today are required to be linked to bank accounts and credit cards in order to be used. If that is the case then your bank account and credit card information is at risk. Every time I see one of these sites, I always warn people about them seeing as I have already seen countless people get scammed from them. News-own.com is no exception. Not only is it a blatant phishing scam, but I guarantee that you will not get paid for your efforts, seeing as no other identical news website has yet to pay affiliates. With that said this is one site I highly recommend that you stay away from. Not only will you not get paid, but you will risk your bank account info, credit card info and paypal info in the process. Dedicate yourself instead to promoting a program that will actually pay you for your efforts and not scam you in the process. Have you been scammed by News-own.com? If so, I would love to hear about your experience! Drop me a detailed comment below! ← 5 Figure Day Review: Just Another Get Rich Quick Scam? hi nessa can you guide us for earning genuinely online. Yes,This site is a scam. Wasting of our time. Government should take serious action on these people.